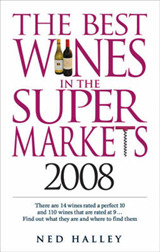 The wine-lover''s bible, Best Wines in the Supermarkets is the perfect wine guide for you to find the style of wine you enjoy at a price that suits your budget. The huge buying power of the supermarkets - and the fact that they employ the finest wine tasters - means that they can buy the very best of every type of wine. The trick is knowing which is the best of the best. For Best Wines in the Supermarkets, Ned Halley tastes thousands of wines and chooses only the best to describe for you and rate out of 10. For every type of wine, Ned is working on the best available wine information and selecting the best of their best wine for you. 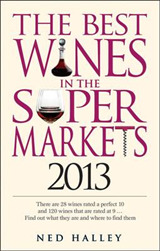 Fully revised and updated every year to match the latest offerings in supermarkets. Excellent, insightful, unbiased reviews will help you discover a cheaper own label that will taste better than a higher-priced known label. Handy, pocket size is ideal to tuck in a pocket or bag and use while browsing the shelves. Perfect to help you navigate the rows of wines in supermarkets and sift between the regions and grapes. 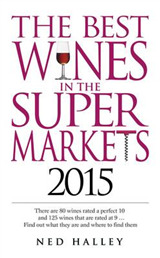 Discover 26 wines that are rated a perfect 10 and 137 wines rated at 9. A broad selection of supermarkets are featured including Waitrose, Aldi, Morrisons, Sainsbury''s, M&S, Lidl, Tesco and the Co-op plus many others. 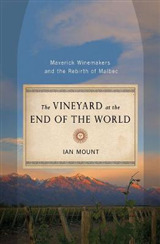 What Wine Words Mean is a wonderfully simple, down-to-earth guide to the terms found on increasingly crowded wine labels. 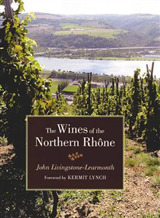 Ideal gift for the wine-lover in your life. Supermarkets offer a huge range of superb, characterful wines. Ned Halley''s purpose is to help you find the best of these constantly improving ranges. 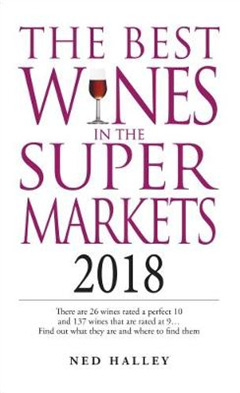 Let Best Wines in the Supermarkets 2018 be your guide.